What is an Oak Swill? 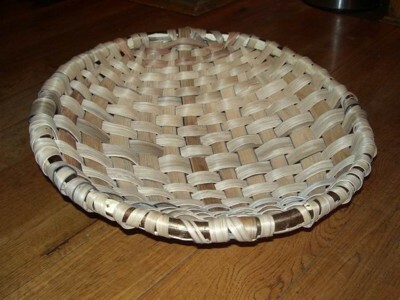 Owen Jones usually has a small amount of stock so if you want one of his oak swills or other baskets then contact him to see if he has one in stock. Owen also sells his baskets at a number of fairs and events throughout the year. 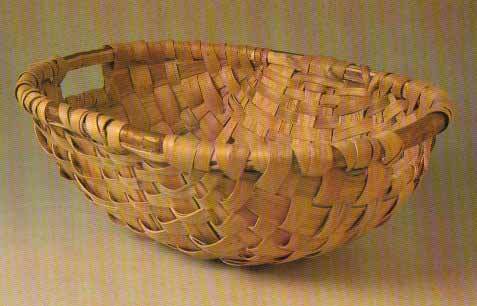 You can see him making oak swills and buy one his baskets at these events. This basket is oval shaped with a gently domed bottom. It has a handle at each end for easy carrying. It is a strong and really useful basket. 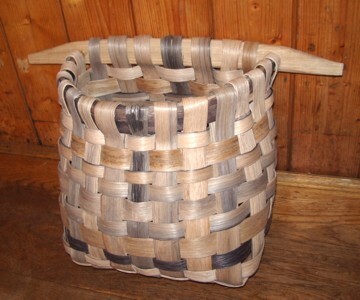 This basket is made in the same way as the traditional swill but has a central handle made from hazel. 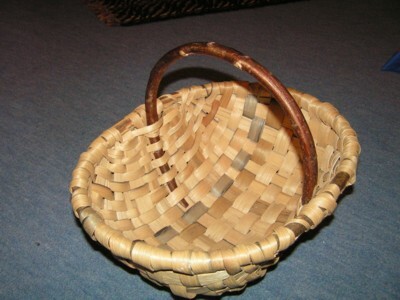 It is a very useful basket for taking out and about. This is another traditional style of basket carried by horses as panniers. They are very strong and look great in a modern setting mounted on a wall or used with a strap like a satchel for picking fruit etc. All these baskets can be posted. The cost of postage and packing is approximately £15 but this varies and I will confirm the exact cost when ordering.